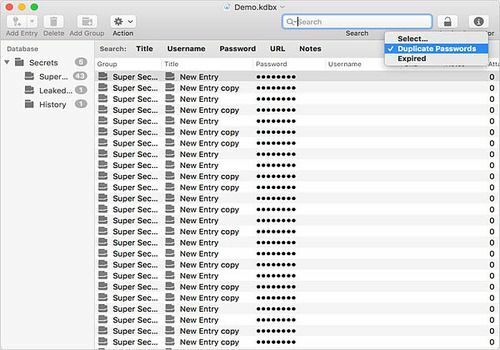 Want to have a password manager for your Mac without having to pay? We have what you need. MacPass software is a free tool inspired by KeePass. The program offers a simple but functional interface with a tab system to have several information at hand at the same time. Access to the interface with the data is made after the choice of a master password. MacPass allows you to store passwords but also other text data. If necessary, the program has its own password generator. MacPass also has a plugin system under development that will eventually add many secondary features. Currently available in alpha version, MacPass is a very promising software that you should test quickly. Passwords are part of your daily routine and you want to know if they are relevant? Panoptipass is the ideal solution. Designed to advise you on the strength of your passwords, it will allow you to protect your personal data. KeeWeb is an excellent free alternative to the best password management software. Kaspersky Password Manager is a software for Mac that allows you to easily manage all your passwords. It automatically identifies you on your favorite sites and helps you create effective passwords. RememBear is a brand new password manager that allows users to avoid having to memorize all their passwords since the software takes care of it for you.